Dynamic Web Page is a web page which is controlled by server side scripting. This allows to change the webpage as per visitor. In server side scripting the parameters at server-side change as per the user(Client-side) load the webpage the processing of the web-page is carried with the scripting and then those HTML files are sent to client side. Client side the HTML files are loaded on its web browser. The best example of the dynamic web-pages is the reservation system where multiple users log in the session to reserve the seats in transport system and is updated if reservation or cancellation takes place. E-commerce is another such example that requires dynamic webpages for customers at different locations simultaneously log to place the order for similar items, the inventory is then updated for new users. 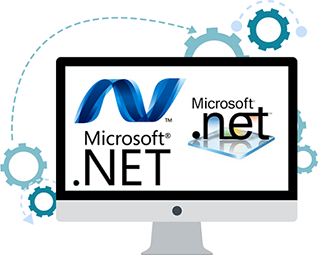 ASP.NET technology is developed by Microsoft and is an open source platform for developing dynamic web pages, web applications and web services. It is a combination of 2 technologies ASP-Active Server Pages and .Net. Active Server Pages (ASP) -developed by Microsoft, ASP is a server side scripting environement for developing and executing dynamically generated web applications. 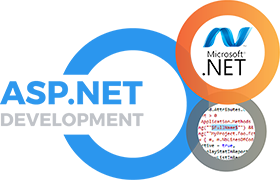 NET Framework- it provides the platform for the ASP and other web applications developing languages- HTML, XML etc., to create the Web-Applications so that version conflict for executing the application is avoided. It provides the object-oriented environement for application development. Website Development- ASP.NET offers three frameworks- Web Forms, ASP.NET MVC and ASP.NET Web Pages, to develop websites and web applications. Each framework offers similar results but differ in knowledge, skill and direction of development. ASP.NET Web API- Application Programming Interface (API) offers set of routines, protocols, and tools for building software applications.ASP.NET Web API provides to build HTTP services for broad range of clients- Mobile users, wide range of browsers etc. Mobile Application- helps in development of mobile website for access of data by mobile phone device or create a mobile application for the access of website server information. E.g. mobile application for social networking websites. Real time- ASP.NET provides to develop dynamic web pages. This is real time bidirectional communication between client and server for exchange of information.